Slowmo Limited is a high speed camera rental company that has been running successfully since 2003. It that time it has covered all types of applications ranging from ballistics to production lines to television programmes. The company has always adapted to the technological advancements within the camera/imaging industry and focusses its needs accordingly. Slowmo Ltd has the latest industry-leading Photron high speed cameras which can be hired with or without an operator. If you are new to digital high speed, Slowmo will be glad to talk through your particular application and how it may benefit from being captured at high frame rates. Slowmo has been operating right through the digital high speed camera age. Its experience in a wide variety of applications is probably unsurpassed in the UK. This experience allows us to be fully aware of the benefits of high speed, how certain events/objects will look when slowed down and how best to capture images in any location. The correct selection of frame rate, shutter speed and exposure are key points together with lighting and trigger options. Since the formation of Slowmo Ltd back in 2003, Photron Europe Ltd has been integral in its continued success. They provide excellent advice and support from their base near High Wycombe, UK. This ultimately means that Slowmo can provide the best service for its customers, both in terms of cameras and technical know-how. Investment is made every year in new Photron cameras. Slowmo Ltd and Photron Ltd eagerly share high speed experiences thus providing a basis for reliability and performance. Thanks to Andrew, Russell, Tim, Paul, Phil and Kelly. (www.photron.com). Slowmo Limited is based in Cheshire, approximately 10 minutes from Manchester International airport. It covers rentals mainly in the UK and mainland Europe. Mark has a background in engineering and sports science. He used early VHS based high speed cameras back in 1997 to film sprint athletes. He founded Slowmo Ltd along with former Photron agent Bob Sharp back in 2003. 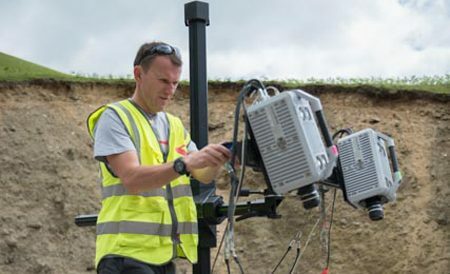 Bob’s contacts enabled Mark to quickly gain experience in a range of high speed applications such as ballistics and product testing and also hire cameras to the Natural History unit at BBC Bristol. From then on, Slowmo with the support from Photron Europe Ltd, has grown successfully each year providing high speed cameras for nearly every type of application and production. In recent years, Mark has focussed on providing the best high speed camera provision for defence and engineering based industries. He has filmed pretty much everything in slow motion so feel free to contact him to discuss your high speed camera requirements. Ed started with Slowmo in 2010 having been an award winning documentary cameraman. He has now established himself as a high speed cameraman covering subjects ranging from natural history to demolitions to a wide range of commercials including several for the fashion industry. In 2016 he has been nominated for a BAFTA and is currently working on the Channel 4 production – The Secret Life of the Zoo. Ed studied at the National Film and Television School and can provide sound advice on set on lighting and technical matters. As a keen kite surfer and experienced skier/snowboarder, he is used to being outdoors in all conditions and filming extreme sports. He is also fluent in Norwegian, Swedish and Danish.